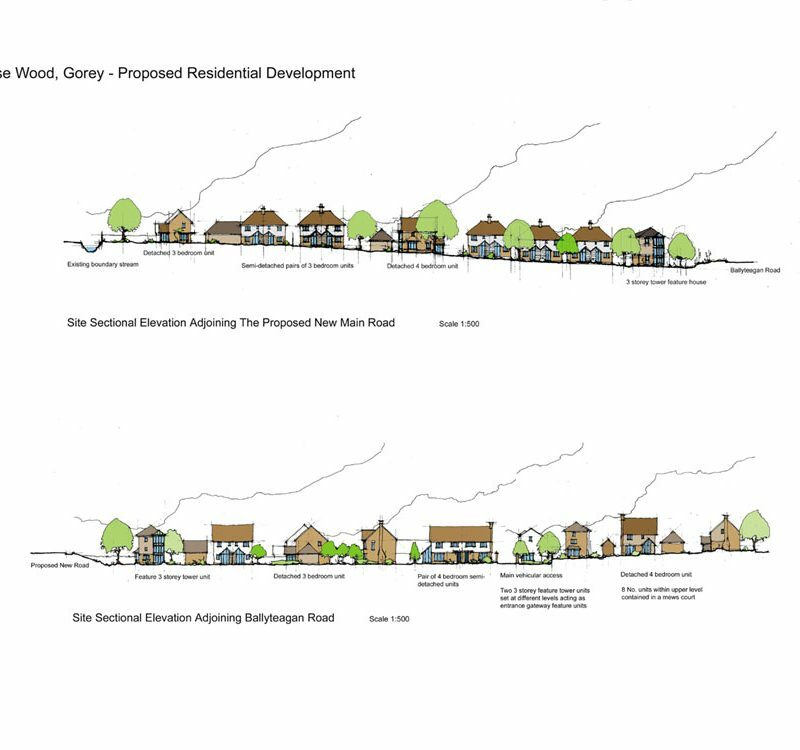 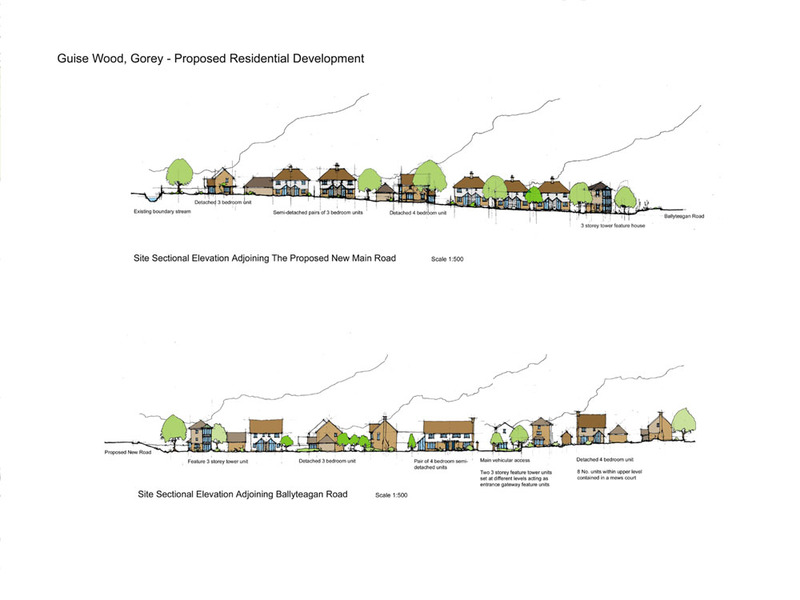 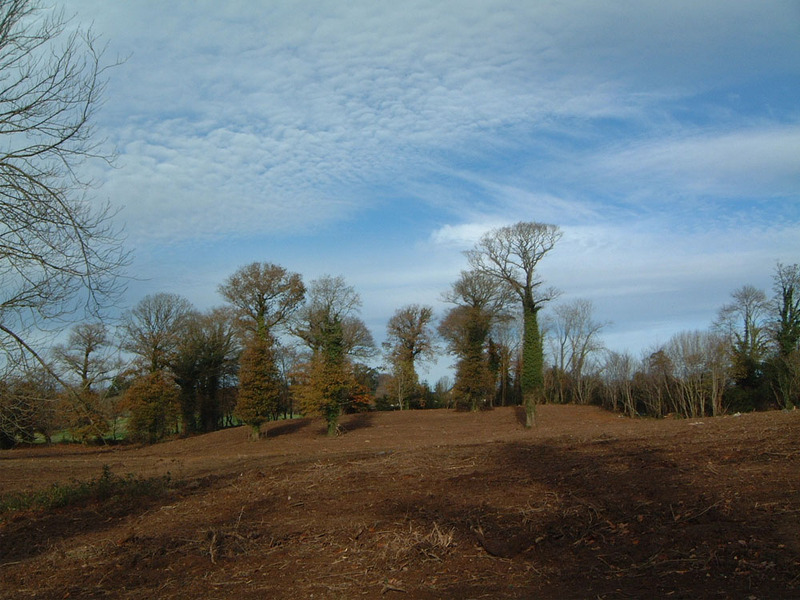 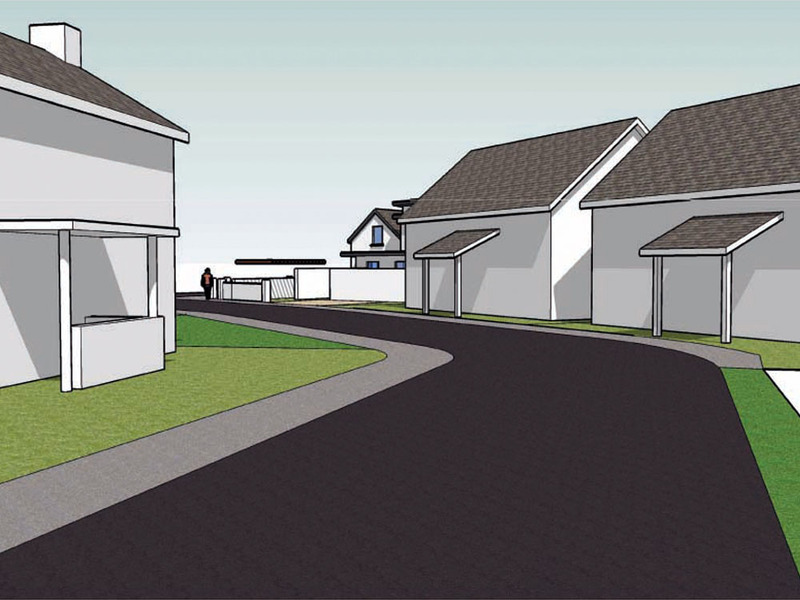 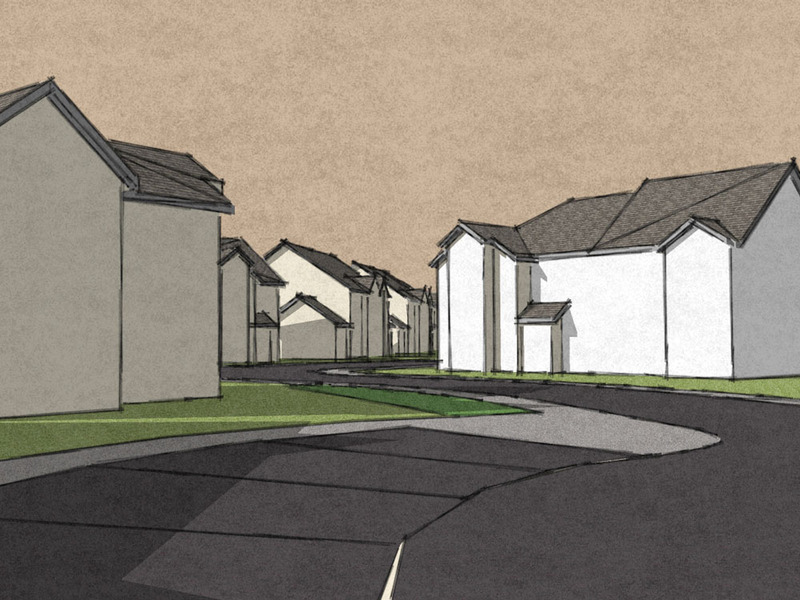 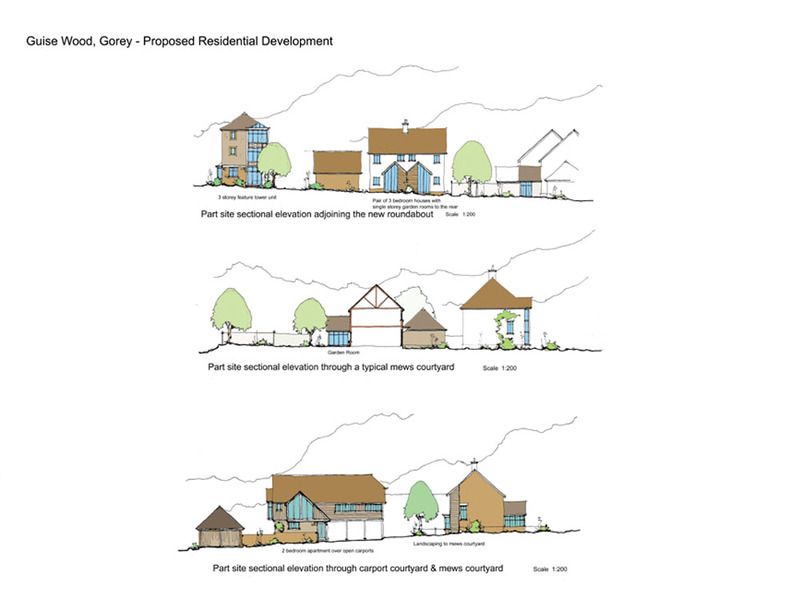 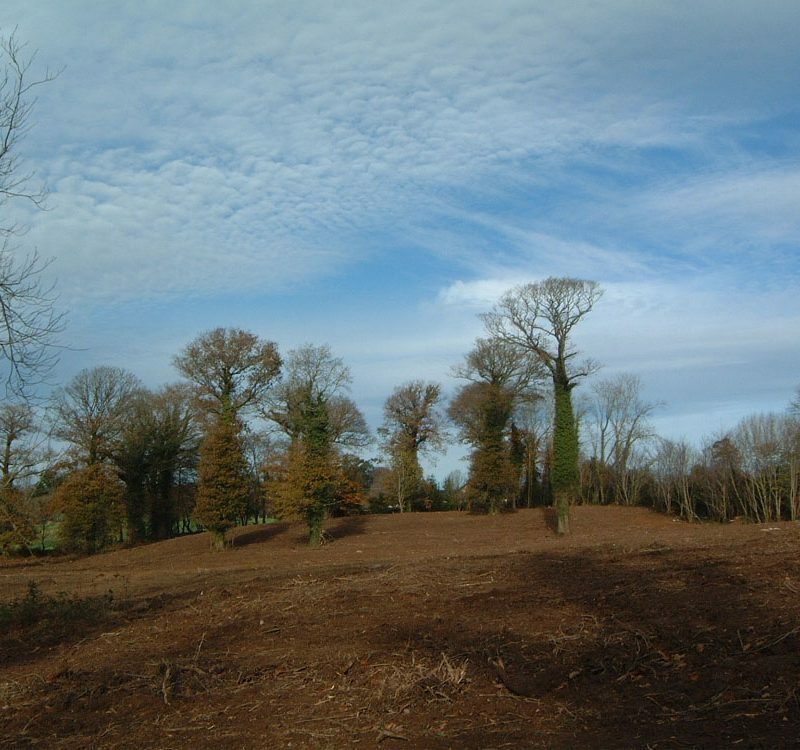 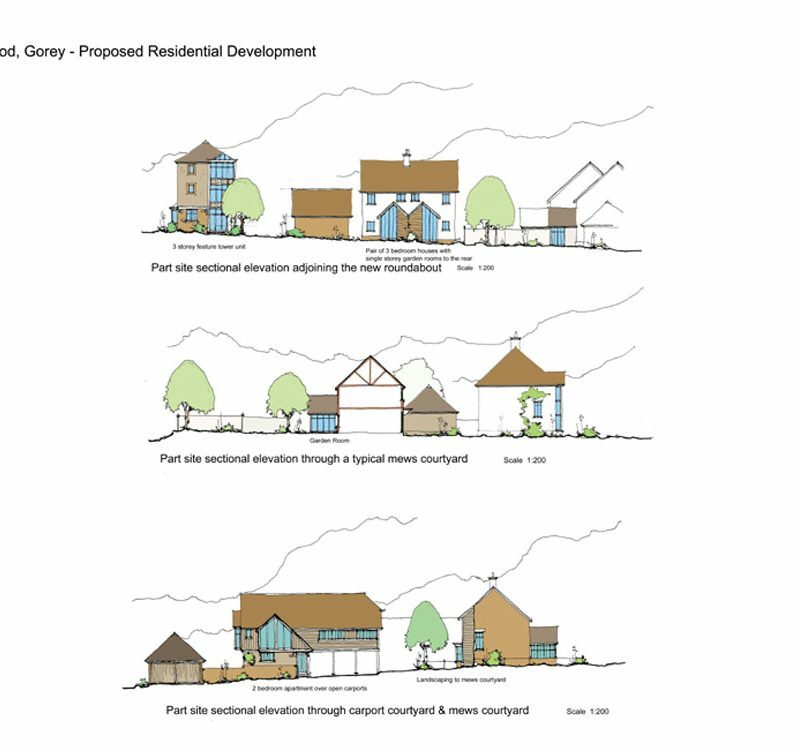 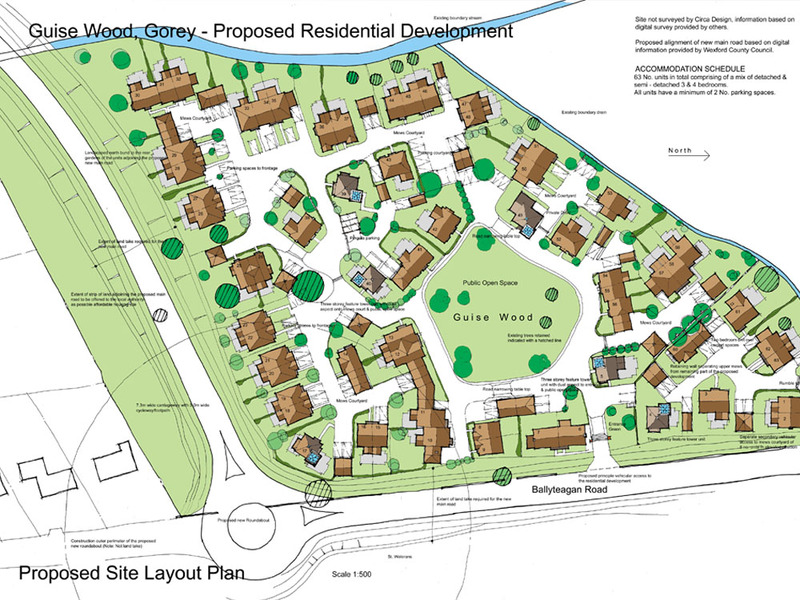 This brief for this project was to design a medium sized housing development on a woodland site on the outskirts of Gorey. 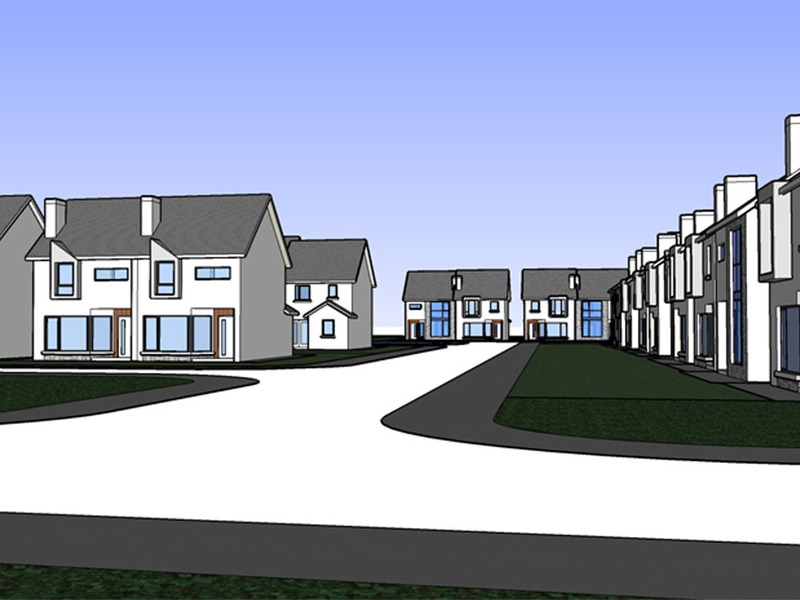 The scheme incorporates as series of connected courtyards with a mixture of housing types assembled around each courtyard. 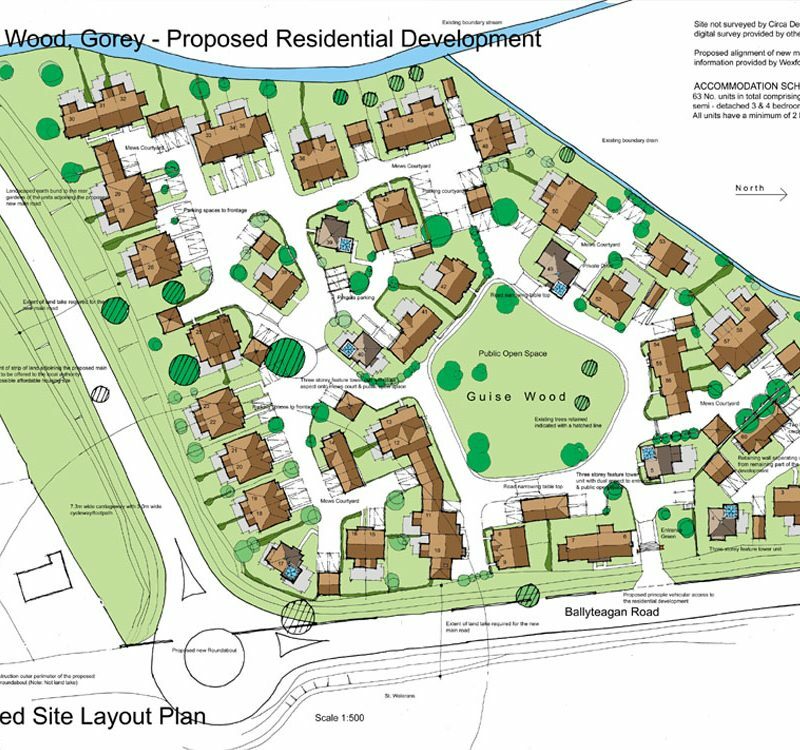 The overall site layout allows for generous areas of green space both public & private, ample parking for each dwelling and easy access to and from the development.